Okay, so Federal Judge Vinson's ruling of ObamaCare as unconstitutional isn't an "easy" read, but it's really interesting to read through and follow not only the logical flow, but also the history (Judge Vinson seems joyful to give a bit of a Constitutional history lesson), analogies, and the way law flows and why it's important to set stop points. A Mother in Israel has an incredibly well-done video of how teens are impacted by the amount we're tuned into technology. It's a bit scary how real much of it really is. Interesting piece on .299 and .300 hitters in baseball. An interesting pair of pieces at Dealbreaker and Lifehacker on first impressions and interviews, with Lifehacker noting how important first impressions are for interviews, while Dealbreaker discusses how some firms essentially interview people for a weekend to test their social acumen. Daled Amos asks if anyone's taking bets on when Obama's next speech in Cairo will be. A great short news clip on Mystical Paths about a recent accidental archeological find - an open sewer path from the time of the Second Temple that goes right under the Temple Mount. R' Natan Slifkin comes to a realization that an obvious point is often being missed vis-a-vis the brain death discussion (currently occurring in many places) and the gemara on the subject. Consumers misled by labels, such as a kosher symbol on a product that is not Kosher, can sue. A Negative Benefit has a clip from The Today Show in 1994 - "what is the internet?" Ten tips to trick, train, and exercise your brain, via Lifehacker (my favorite site). The return flight from Eretz Yisroel for Rabbi Eli and R’ Reuven Dessler and family was set to arrive in Newark this morning and then transfer to Cleveland later, but due to the weather had to be redirected. ...Cleveland was somehow chosen. Immediately upon hearing about this flight being redirected, Yaakov Moshe Berkovic of Davis Caterers and Mrs. Sara Shapiro of Bikkur Cholim (and the many people who volunteer for them) got the ball rolling to get much needed food and other things to this group of people. Kinneret Pizza was churning out pizzas, Dovid Greenberger and his Bagel Shoppe made an innumerable amount of bagels and baked goods. Other people stepped in to help in a variety of ways. (Note: I'm guessing it was a Continental flight, and was rerouted so they'd have planes at another hub of theirs, the closest of which is Cleveland.) Anyway - great story, and a nice testament to the frum community of Cleveland. It appears the birthday boy's surgery went well, thank God. Thanks to all those who had him in mind. I'm going to start/test a new feature (really an addition to an old one) as I start blogging again after the nightmarish past year and a half (not all of it was nightmarish, and it's not quite over, but I'm finally able to move on with life). On the right side is an EZ Reader where I'll link to posts from my own Google Reader. This won't eliminate EZ Reads, which is a more effective way to share good posts, but it'll at least keep me from saving things forever and then never getting around to posting them. Please have in mind Yehudah Baruch ben Rivkah Mindel tonight and tomorrow morning; he's an all right guy (I guess) whose 36th (HA!) birthday is tomorrow, in honor of which he is having surgery at 8:30am on his second ear to restore hopefully 80% of his hearing in that ear. He previously had successful surgery on the first ear. His dear wife SIL noted that the doctor's office did note that they cannot repair selective hearing - ah well for her. Also worth noting is that I was born exactly 8-1/2 years after my brother, so I'll be halfway to 55 tomorrow. Nice. Let me get this straight . . . . The body will be at Newark Airport Cargo Area D at about 5:15pm today (Monday), but you should confirm with Newark Airport; the levaya in Cleveland was this morning at Yavne's building. The kevurah will be Tuesday at (can't remember if it's 6:15 or 6:30) at Shamgar. They didn't say anything about shiva in Israel, but in Cleveland it's at Reuven and Naomi Dessler's house on Shannon Road. The Cleveland Plain Dealer published an obituary of Rabbi Dessler. Rabbi N.W. Dessler of Cleveland has passed away, shortly shy of his 90th birthday. The levaya is this Monday morning in Cleveland, and the kevura will be at Har Hamenuchos in Yerushalayim. 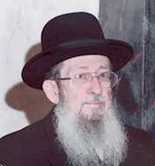 He was a mensch, a tzaddik, and a gadol. He founded, built, and grew the Hebrew Academy of Cleveland, and helped build the Jewish community in Cleveland. These were sent by a friend recently, and I requested and was given permission to post them publicly. While I'm posting this, it's a good place to write that I've also been pointed recently to a new book called Hush by "Eishes Chayil", reviewed in Tablet, by Chana, and by Bad4. It apparently is rather highly regarded by all who've read it that I've seen. Education, Education, & more Education! Children should not have their names (even just their first names) visible (e.g., on Yarmulkes, Backpacks, etc). Parents should be advised to supervise any meshulach and /or guest and not allow them unrestricted access to their children. This is a serious illness that needs to be addressed –they know they are doing something that can lead to all the aforementioned forms of harm but do it anyway! No staff member to take children to any secluded area alone e.g., park, museum, etc. If a child goes to a part of the store not visible to the staff, a staff member should maintain the child in his/her sight at all times (similar precautions used by stores suspecting someone of shoplifting). If you don’t teach your children about their bodies, sexuality, and intimacy who will? Address issues of body awareness, good/bad touch, right to say “NO”, etc. Do not cave in to fear tactics e.g., threats of ruining shidduch, community alienation, ostracism, not being accepted in yeshivas, etc. Tell my parents the disgusting things Mr. Bob did to me, they would kill me! 4 major points to convey (exact words not important) from D. Pelcovitz’s talk citing Susan Schulman, M.D. Mommy and Daddy love you and nothing you do will change that and nothing will take it away. If you did something bad I may not like what you did but I will always love you. I want to hear the good and bad things that happen to you. Three kinds of touch: Yes: like when mommy hugs you and you feel good. No: Like a friend hits you and it feels bad. I don’t know touch: Doesn’t hurt but makes you feel funny. Say no, run away, and tell mommy. No one is allowed to hurt you or make you feel sad or scared. If someone hurts you or makes you feel bad tell me about it, I will try to find out what happened and stop it. The area covered by your bathing suit is your private area. Sometimes when your little your teacher may help you in the bathroom and that’s ok other than that you are not allowed to touch someone else and no one is allowed to touch you in the area covered by your bathing suit. You are not allowed to show those parts to anyone and no one is allowed to show you. If anyone does this say: no, my mommy doesn’t let me, go away from the person, and tell your mommy. Can educate through and in play – puppets, people, imagination, role-play – create scenarios in play for child to process and deal with. Step One: "who wants to read passuk gimmel?" Step Two: "okay, no volunteers except annoying kid that always raises his hand? David, you read." Step Three: "What's that David, you don't do reading? Okay Jonny read." Step Four: "Jonny doesn't have the page. Jonny doesn't even have a chumash. Okay annoying kid, you read." Step Five: "Who has any questions on this passuk? Nobody? Okay let's read Rashi." Step Six: "Can anyone tell me Rashi's question?" Step Seven: "No, none of those are even close to Rashi's question. Did anyone learn anything this year?" Step Eight: "Here is Rashi's question with three more answers. Write them all down in the column next to the vocabulary words"
Step Nine: Wash, rinse, repeat. President Obama spoke last night at the memorial for the victims of the attack in Tuscon, Arizona. I was able to watch most of it and read through the entire speech online, and he was fantastic, even if the forum ended up seeming a bit... pep rally-ish, as someone put it. If there were any Presidential moment that someone such as he was made for, it was this - with even the concern that he doesn't give off emotional depth proving to be untrue, at least on this occasion. He thankfully also implicitly chastised those who blame this on political debate, much like his former Chief of Staff Rahm Emanuel was distraught (as mentioned on Best of the Web here) when a Newsweek piece utilized an old Emanuel line to argue for capitalizing on the tragedy for political gain. On top of that, the President is finally seeming to take heed of the results of this past Congressional election, learning from his mistakes and working toward reshaping his White House staff. Karl Rove (!) heaps praise on Obama and his interim advisor Pete Rouse today in his weekly WSJ article, which is obviously saying quite a bit. To see that Obama is willing to change is quite refreshing, and hopefully he'll work closely with the GOP members such as Paul Ryan to actively cut spending as well, though this seems less likely at the moment. Certainly, though, these are steps in the right direction. Politicians love a crisis. It gives them an excuse to push silly freedom-killing laws that will do nothing to address a perceived problem, but makes them feel good. The Caucus Blog at the New York Times reports that Pennsylvania Democrat Bob Brady plans to introduce a bill banning symbols like "that now-infamous campaign crosshair map." The map in question is one used by Sarah Palin in an ad showing targeted districts in the 2010 elections. The left wing Daily Kos used a similar map targeting blue dog Democrats for defeat, but little mention is made of that map outside conservative web sites. Apparently, the mainstream media thinks such graphics are only dangerous when used by conservatives. Nevertheless, if Brady has his way, such graphics may become illegal in campaign ads, even though there is no evidence such graphics had any role in the shooting of Arizona Congresswoman Gabrielle Giffords. Federal employees would be protected from such graphics as well. "You can't threaten the president with a bullseye or a crosshair," Representative Brady said, Brady admitted to the Caucus that he had no idea if the graphic had any part to play in the assault. "I don't know what's in that nut's head. I would rather be safe than sorry," Brady told the Caucus, adding, "this is not a wakeup call. This is a major alarm going off. We need to be more civil with each other. We need to tone down this rhetoric." So, Brady is willing to shred the First Amendment for a false sense of security. Given the new rules in the GOP-led House, his Constitutional citation should be very interesting. I've been meaning to post this for a while. (Hat tip: Shragi) Elder of Ziyon is one of many linking to this great story about a 19-year old in Cambridge who was given the unenviable task by the Cambridge Union debating society of being 'pro' a proposition stating that Israel is a rogue state. The student, Gabriel Latner, who is pro-Israel and had served in the Israeli Army (? ), decided to do exactly that - while praising Israel in the process. His conduct earned him a lifetime banning from the Cambridge Union. You might want to know that Lauren Booth was on the proposing side too - no surprise there then! I know its incredibly long, but just imagine the scene - most of the room are obviously NOT Jewish and time and time again these debates will never go in our favour. However Gabrielle won this for the opposing side. He received a standing ovation from the majority of the room, obviously not from Lauren Booth!! Please pass this on as it truly is an amazing speech from a young boy, 19 years of age, swigging from a hip flask for Dutch courage!!! The actual speech he gave is brilliant - read the whole thing at EoZ. I know it was a cold and snowy night. I was armed with warm boots, warm coat and warm gloves, and still the treck from my parking spot to the entrance of the rest area on the Garden State Parkway was frigid and miserable. I understand wanting to park closer to the door. But I would have never actually entertained thoughts of doing it. And yet, there I was, approaching the door, and I saw the sight I wished I hadn't. But even if I had walked in two or three minutes later, it would have effected me. You see, when you parked next to the door, rather than in a legal spot, you weren't just risking a ticket. You were angering the lady who works there, who witnessed you pulling up. You were in a haste to get out of the cold, so you missed her reaction, but I didn't. "Must be handicapped," she declared. I saw this link on someone's Gchat status, and clicked on it. It's a reasonably entertaining rap on an annual fellowship done in Lakewood for college students from all over; then I realized that it's actually my cousin Shimmy Goldish performing (ironically, was in Providence this weekend and someone asked if I was related to him), which is pretty cool. He's far more talented than I, certainly. Anyway, enjoy! This is a really cool story: A homeless man with an amazing voice for radio was, shortly after a video of him went viral, offered a job by the Cleveland Cavaliers - and a house. Check out his interview and original video (by the Columbus Dispatch) below. (via Deadspin) The humanity of people who tried to help him out is also really something (see the YouTube video comments). Serach went to buy pita for dinner from a local establishment. She asked the person behind the counter, who's Chassidish, if they took the Lander discount card (a card issued to Lander students, kollel members, alumni, and their spouses), to which the man replied "I remember the guy came in here... you know what, yes, I'll take it." He promptly took off 10%, leaving the bill at about $3. Serach then asked about paying using a debit card, to which he replied "Why not?" When she asked if there were a minimum, he noted simply "No, that's illegal." This is in stark contrast to another establishment which was happy to take the card... but only if you paid cash. As the owner told Serach, "If I take credit then I have to pay taxes on it!" Serach replied that he has to pay taxes either way, and left. The best way of putting it: A family friend of my in-laws (IIRC) tells customers who ask about tax, "I don't charge tax. I just collect it."